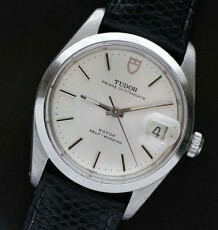 A boy sized Rolex Tudor sold by Eaton department store. 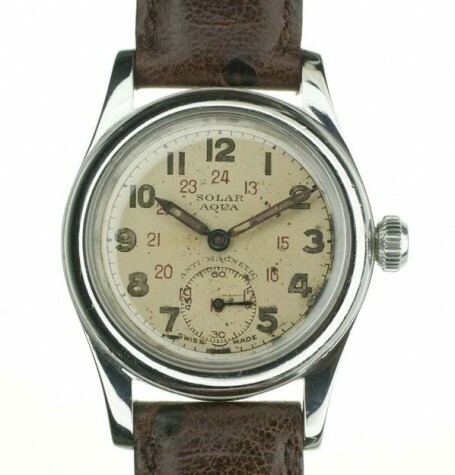 Branded Solar Aqua as Eaton's house brand for Rolex watches.Great all-original 24 hour military dial. 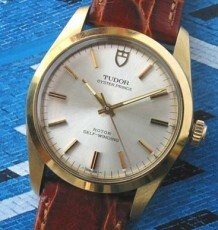 This Solar Aqua is probably one of the least known of the Rolex/Tudor brands, at least outside of Canada. 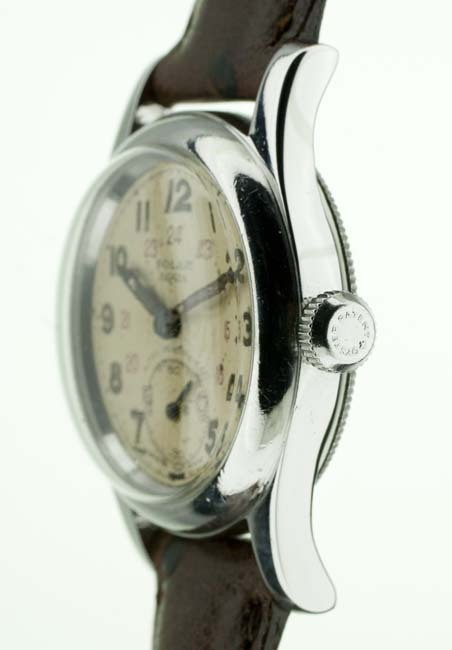 Solar was the in-house brand of the Eaton department store, a chain that existed in Canada for over a century. 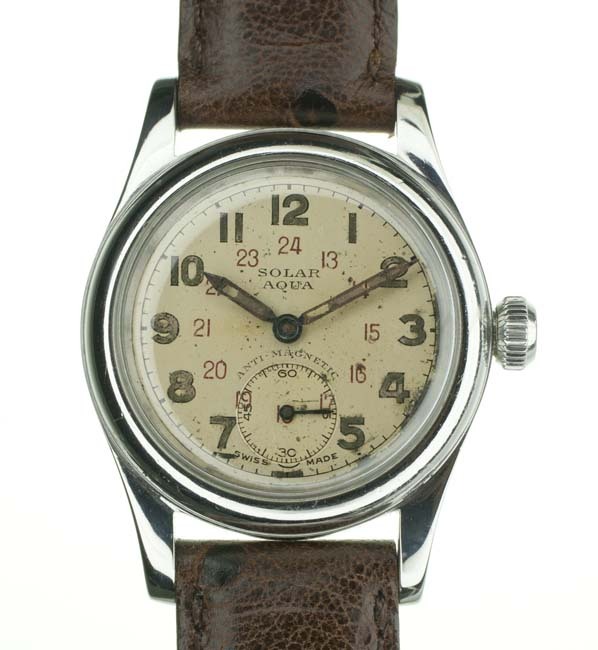 Many watches were sold under the name Solar but only a few were actually re-branded Rolex’s. 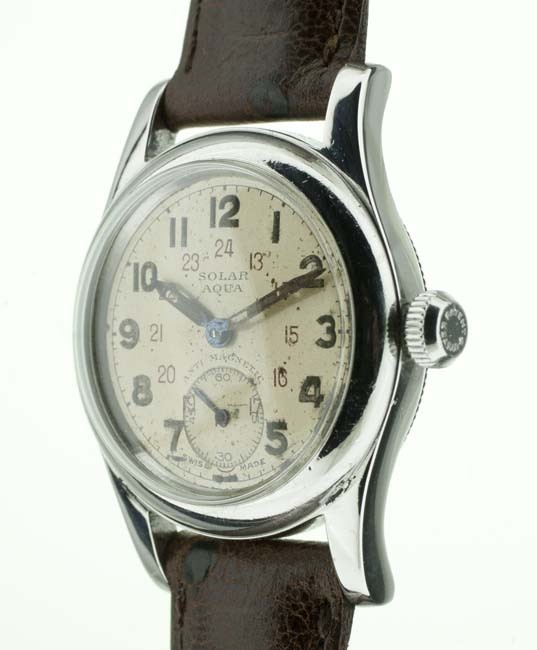 Rolex and Eaton had a unique relationship, primarily due to the unusual situation of Rolex Canada being a relatively autonomous company from Rolex in Geneva. 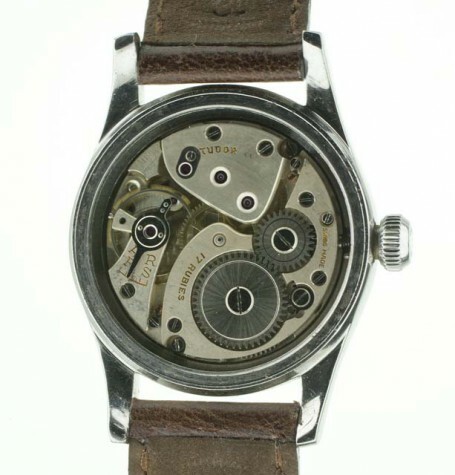 Eaton also re-branded other models for their famed 1/4 Century Anniversary gift watches. 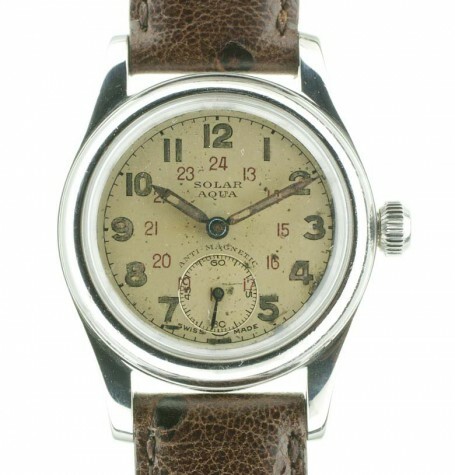 This watch is a Solar Aqua model. 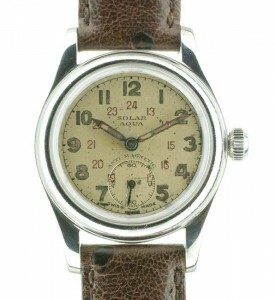 The Aqua label drawing the shoppers attention to the famed Rolex Oyster case. 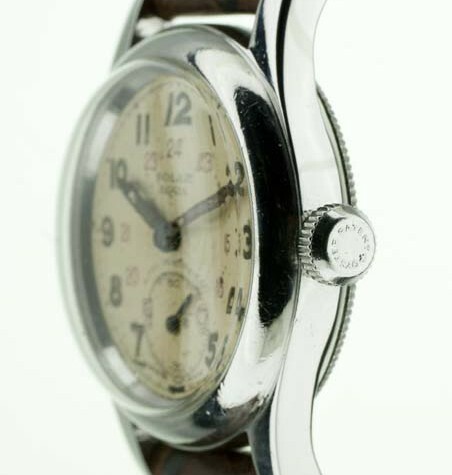 This model is a Solar Aqua ref 2784 a reference number reserved for Canadian Oyster cases with a Rolex modified Swiss calibre 59 movement. 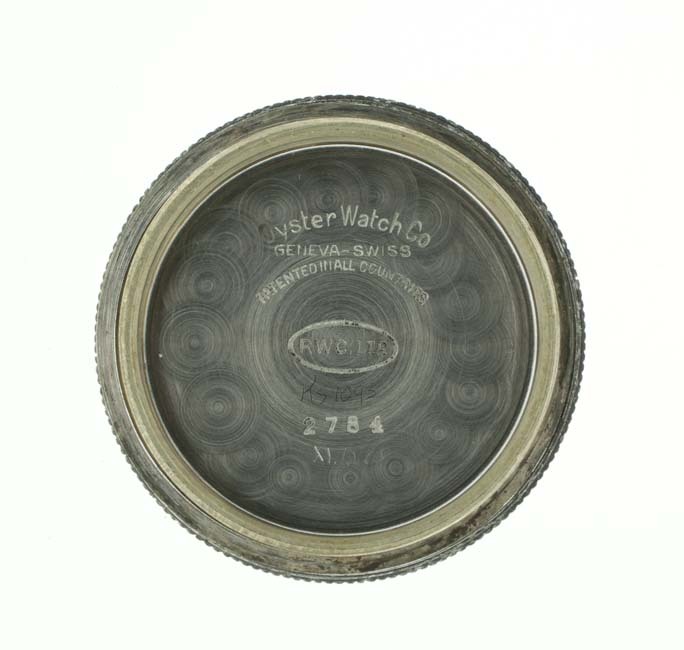 The plate on the movement is marked Tudor yet the movements could have been marked Rolex, Tudor or even Oyster Watch Company as they were using the same movement branded in any of those names. The 17 jewel manual wind movement was just serviced and is running very well. 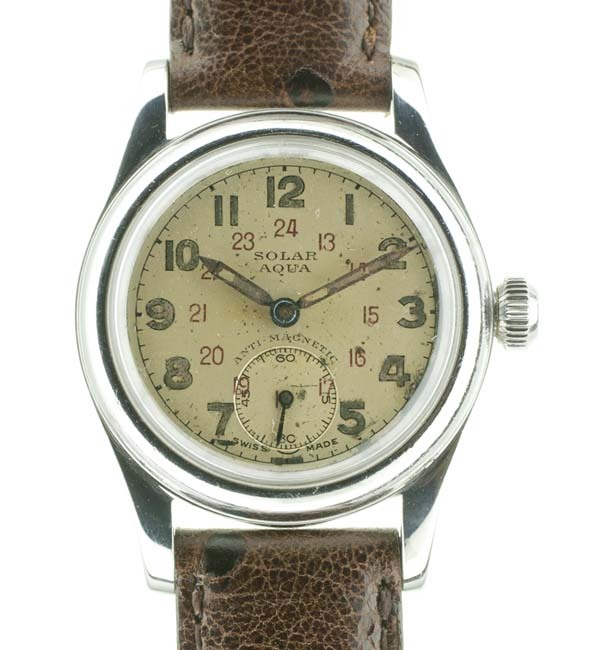 The original dial has a nice even vintage patina and features luminous Arabic numeral hour markers as well as a crisp red 24 hr military hour track. The sub-seconds register is ringed with the delicate script “Anti Magnetic”. The watch is fitted with pointed, pencil shaped, luminous hour and minute hands. There has been some loss of the luminous compound but most of the material is still present in the channels. As such I have chosen not to remove the remainder and replace it with new compound. 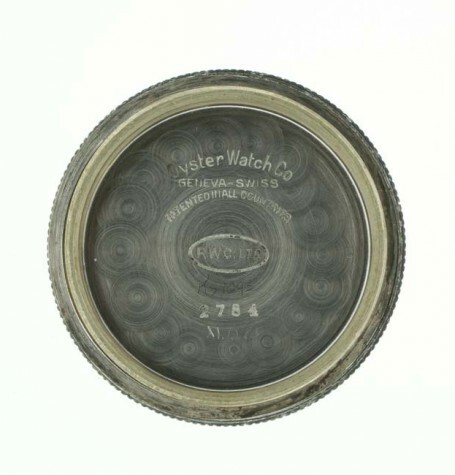 The steel watch case measures 30 mm wide by 39 mm long. 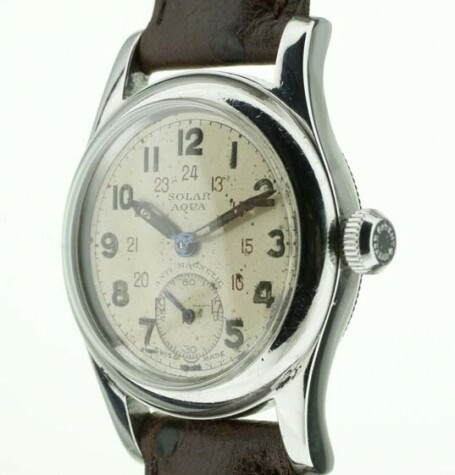 In one of the photos you will notice the original Rolex Oyster Patent crown still fitted. 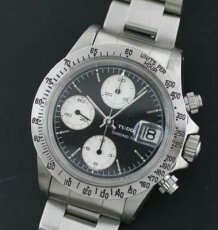 The crown screws down tightly to the case tube. 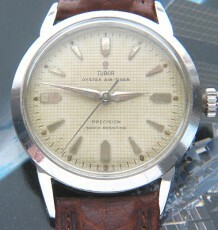 The watch is currently fitted with a brown leather strap however the buyer has the choice of black or brown straps.